Oh my gosh!!!! Nicole Jacquelyn is an author that I need to keep an eye out for. This is the first book that I have read from this author and it surely won’t be my last. 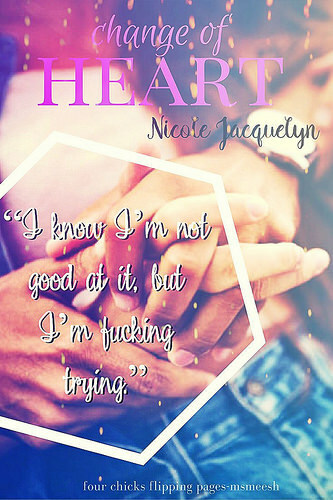 I heard so many amazing things about her previous book Unbreak My Heart and so when her publisher contacted me for an opportunity to read Change of Heart I knew I need to discover why so many readers are raving about Nicole Jacquelyn’s emotional angsty series, Fostering Love. Change of Heart was one of those emotional, heartfelt reads that takes readers by surprise. This is one of the rare stories that took the definition of LOVE and FAMILY to a whole new level of meaning and importance. Family isn't defined by blood and Nicole Jacquelyn truly emphasized that important message in her book as she brought forth two foster children who found love, family and a home with their foster parents. 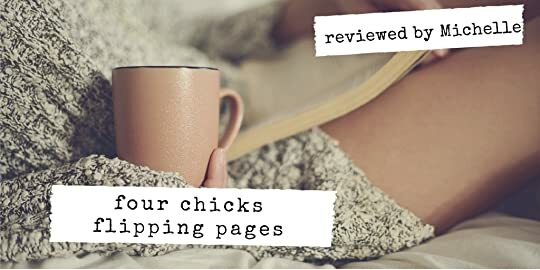 Nicole Jacquelyn did a fabulous job in writing this utterly raw and captivating story of love, second chances, and new beginnings. As readers are immersed in the story of Anita Martin and Abraham Evan as they navigate their feelings for one another, Nicole Jacquelyn allows readers to feel their vulnerability. And in such, it allowed readers like myself to be tethered to this connection that have for one another. As Anita makes a decision that will set motion of new changes in her life, will Abraham discover that a life with Anita is what he wants or will he lose the best thing in his life? Change of Heart was one of those reads that you had to experience first hand in order to feel the push and pull connection that was brewing between Anita and Abraham. This couple instantly had my heart as Nicole Jacquelyn beautifully navigated the many emotional obstacles that they had to overcome. These moments of heartbreak, passion, intensity, hopelessness, and love are what makes Change of Heart such a breathtaking book. So if you are looking for a book where truth, understanding, hope, love, second chances and family are beautifully interwoven in such raw and transcendent manner then I highly urge you to read this book. Discover a story where there is nothing temporary about love.